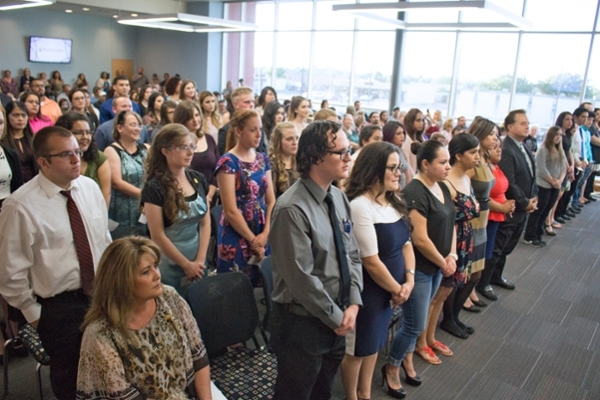 Odessa College honored some of its top scholastic students for Spring 2016 with an induction ceremony into the Eta Tau Chapter of the Phi Theta Kappa Honor Society. The families and friends of more than 60 students were invited to the ceremony, where the students were recognized for their accomplishments. 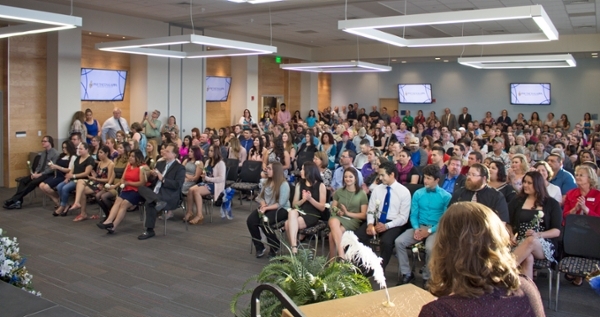 The inducted students are Alma Angeles, Vanessa Armendariz, Katharine Badalament, Bruce Becker, Shanna Blackburn, Jared Bogosian, Michael Boldt, Kailey Burson, Rayon Calhoun, Cynthia Cano, Rosana Corral-Garcia, Mary Cates, Gisela Chavira, Laura Clark, Thomas Crawford, Elizabeth Crawley, Michael Curnutt, William Davis, Aimee Dobbins, Jordan Ellingson, Nicole Fisher, Jessica Franco, Yubia Galindo, Crystal Garcia, Jaime Garza, Laura Gomez, Matthew Gonzales, Jennifer Gonzalez, Phillip Green, Morgan Gregory, Gabriela Gutierrez, Leilani Hankins, Michaella Hansen, Andrew Hoffman, Taylor Jordan, Rebecca Jurado, Allyson Kempton, Geraldyn Kenimer, Liezl Lang, Vanessa Lara, Dustin Lewis, Megan Lofton, Rebecca Lujan, Jane Marin, Erika Marquez, Nicole Martinez, Rita Mata, Tessa McCormick, Leonel Melendez, Nicholas Melvin, Alexandra Mendoza, Griselda Nicolas, Brandie Pando, Kristen Patterson, Eric Reeh, Jitti Reyes, Abraham Rodriguez, Esmeralda Romero, Oscar Romo, Madison Rosenberger, Kimberly Sosa, Chance Taylor, Kayla Tombs, Amber Tooker, Deambra Torres, September Tull, Lindsey Wagner, and Lindsey Wimmer. 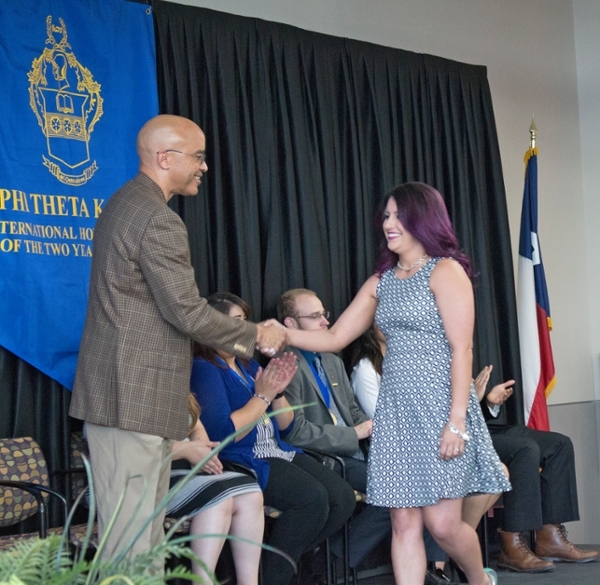 To be a member of the Odessa College Eta Tau Chapter of Phi Theta Kappa, students must maintain a grade point average of 3.0 or better. 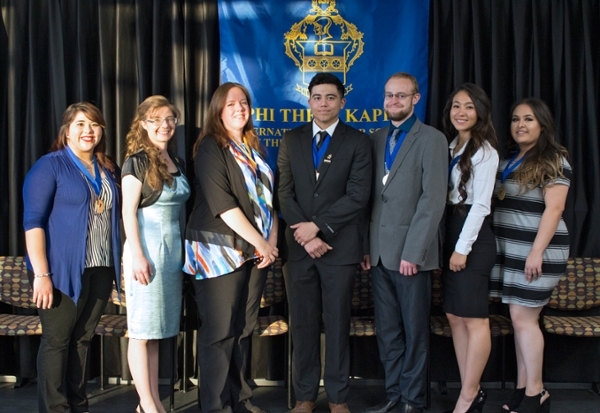 Phi Theta Kappa, the international honor society for two-year colleges, operates on the four hallmarks of service, scholarship, leadership and fellowship. Headquartered in Jackson, Mississippi, PTK is the largest honor society in American higher education with 1,285 chapters on college campuses in all 50 of the United States, Canada, Germany, the Republic of Palau, the Republic of the Marshall Islands, the Federated States of Micronesia, the British Virgin Islands, the United Arab Emirates, U.S. territorial possessions and Peru. 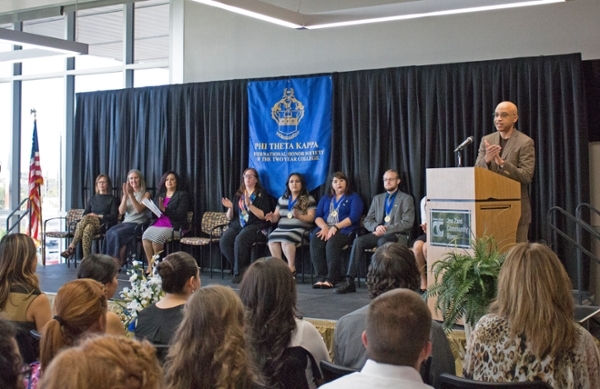 More than 3 million students have been inducted into PTK since its founding in 1918, with approximately 134,000 students inducted annually. For more information, please contact Phi Theta Kappa advisor Elma Reyes at 432-335-6770.